led troffer light fixture is one of the most common lights in school buildings, offices, hospitals, and other workplaces. LED Troffer lighting usually provide a bright and even lighting, which are often recessed into the ceiling in a grid pattern, some troffer lights can be surface mounted as well. Troffers come in parabolic or indirect lighting options and in a variety of sizes including 1×4, 2×4, and 2×2. 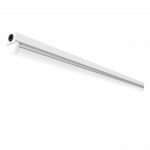 You can find 2, 3, or 4 lamp fluorescent fixtures, LED troffers, or LED ready fixtures. 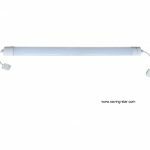 Fluorescent fixtures and LED ready troffer fixtures allow you to choose which tube lights you want to use. 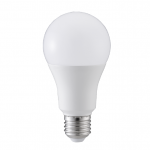 LED troffers feature integrated LEDs programmed to a specific Lumen output and color temperature. We don’t compare our led troffer light to Fluorescent troffer lights, because, abviously, it is better to use LED as light source. The traditional led troffer lights are Parabolic fixtures or Indirect fixtures, Parabolic fixtures distribute most of the light downward, which create a cave effect by leaving the ceiling and the top of the walls darker than the floor and work areas. Indirect fixtures shining their light upward, creating a more even light distribution. Due to the more diffused light emitted from indirect fixtures, employees working under them tend to experience less eye strain, headaches, discomfort, and fatigue caused by light glare. Unlike the traditional troffer lights, we creatively develop the led troffer light fixture with direct lighting, which is in higher output lumen than other troffer lights. The typical of luminous efficient of our products is 140lm per watt (@6000K), and it will be higher and higher in near future. We also design the angle of light distribution, so that the light can be even, which help to create a comfort lighting area. Price: less than most of the led panel and troffer lights.